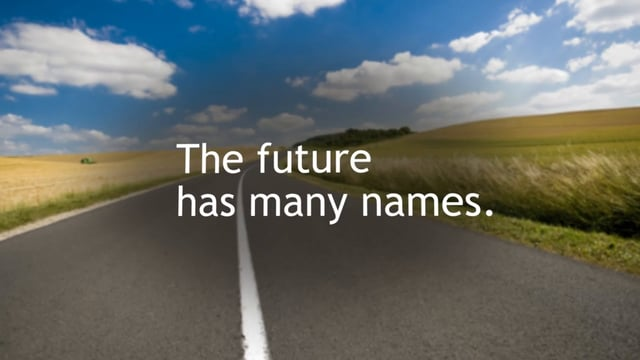 Steve and his team guided us through the steps necessary for discerning our strengths, leading us to understand and make decisions about the promise our brand can deliver and offered ways to "get there." 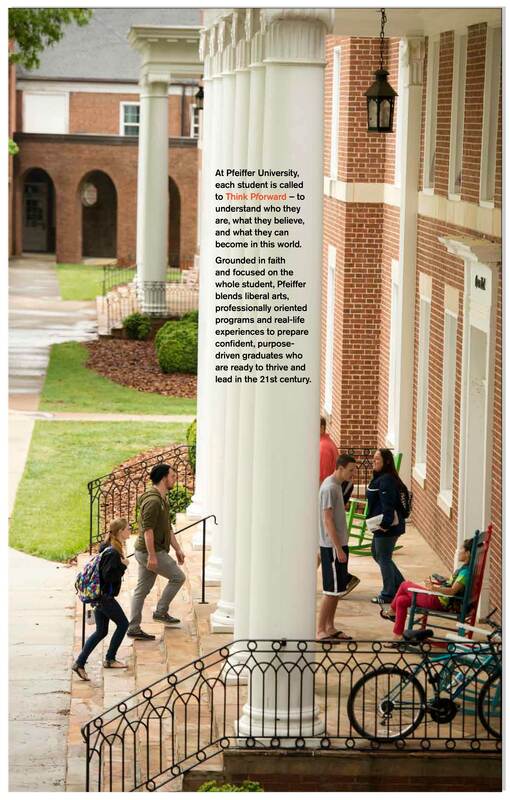 A private, liberal arts university affiliated with the United Methodist Church, Pfeiffer University draws 1,680 students to its three campuses in Meisenheimer, Charlotte and Raleigh, North Carolina, for undergraduate and graduate studies. 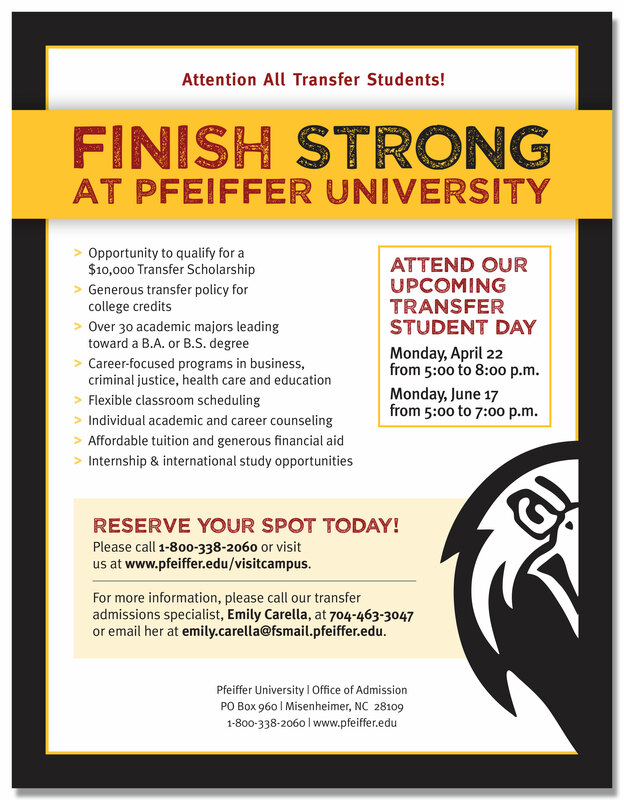 Pfeiffer University was struggling in large part because their main undergraduate campus in Misenheimer, North Carolina, was completely separate from their two more urban campuses in Charlotte and Raleigh/Durham. 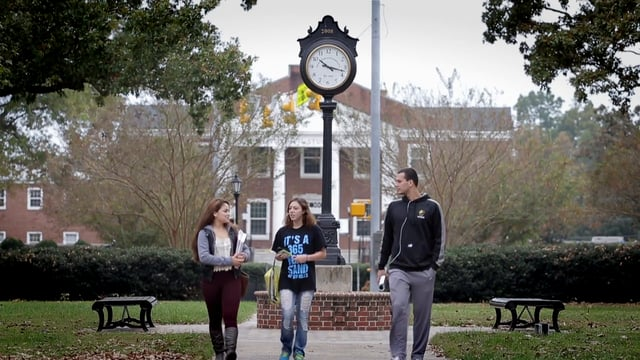 They came to us in search of ways to connect with a broader population of students looking for the sort of active learning experiences they delivered. 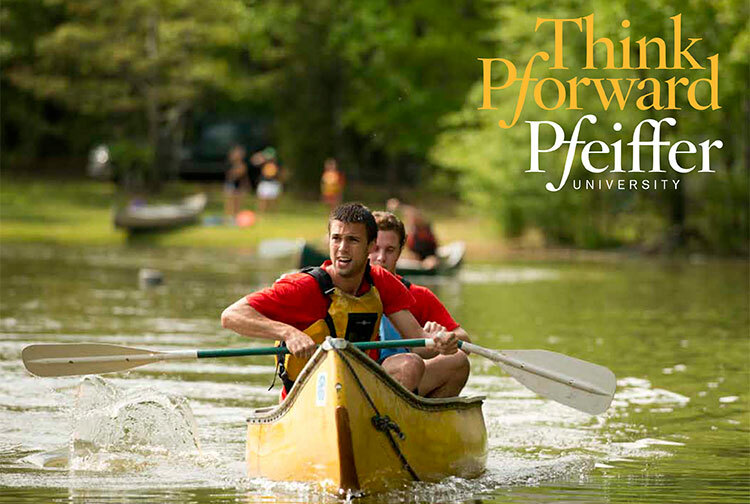 It was clear from the outset that Pfeiffer needed to develop a completely new brand identity that captured not only what the school offered currently, but what it aspired to become in the future. 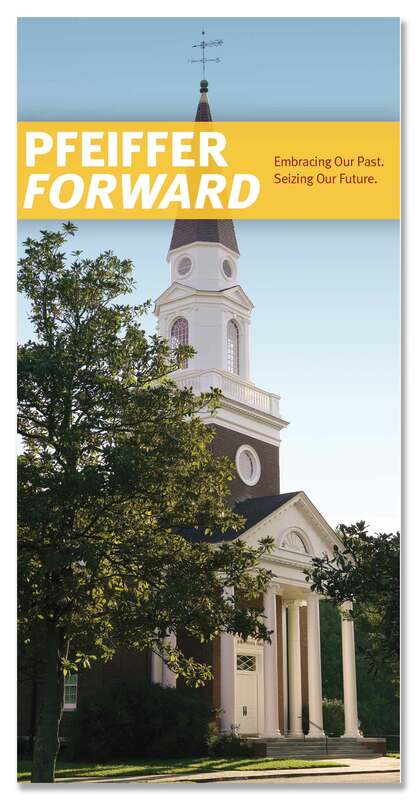 After a series of brainstorming sessions with the University community, we determined that the future success of this school would depend on their ability to coalesce and present potential students with the collective strengths of all three campuses and the promise these locations could deliver as a unified whole. 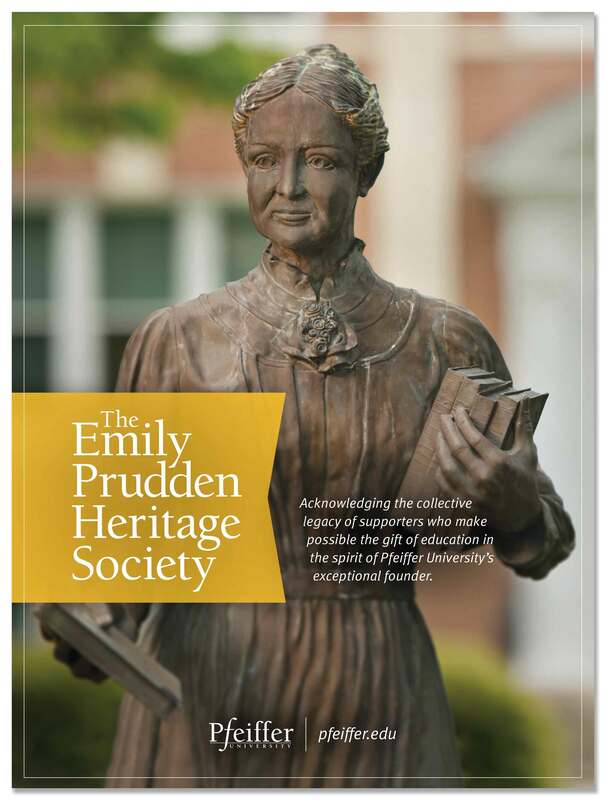 To present this new brand identity to the entire University community, we developed a power point presentation, brochure, and video celebrating the concept. 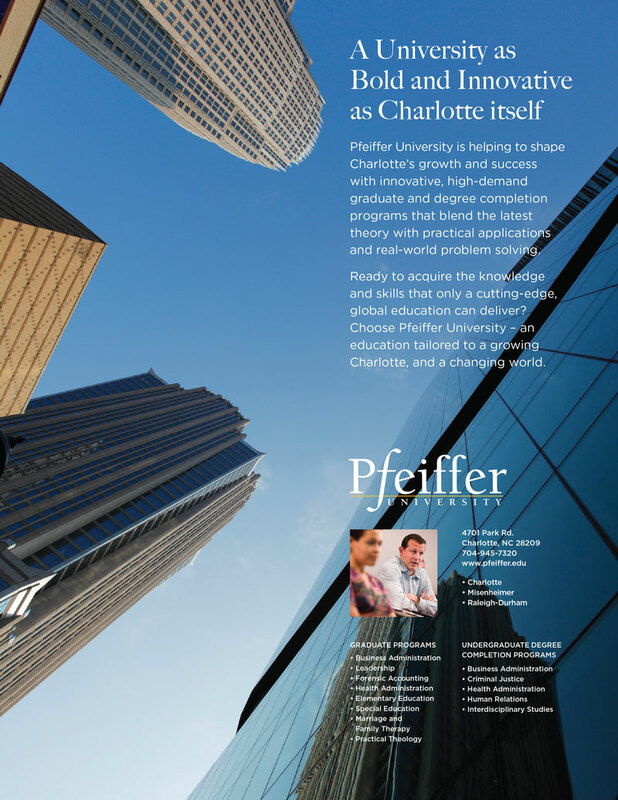 We then applied the concept to the development of a new viewbook and college fair piece. 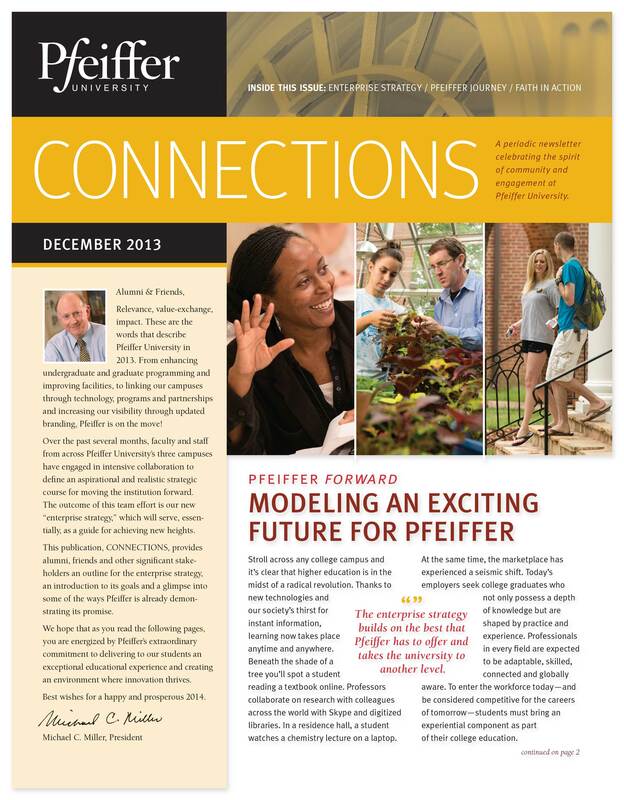 We also partnered in presentations to Pfeiffer's administrators, faculty and staff to introduce them to the new brand, and developed a “Connections” newsletter celebrating the spirit of community and engagement.